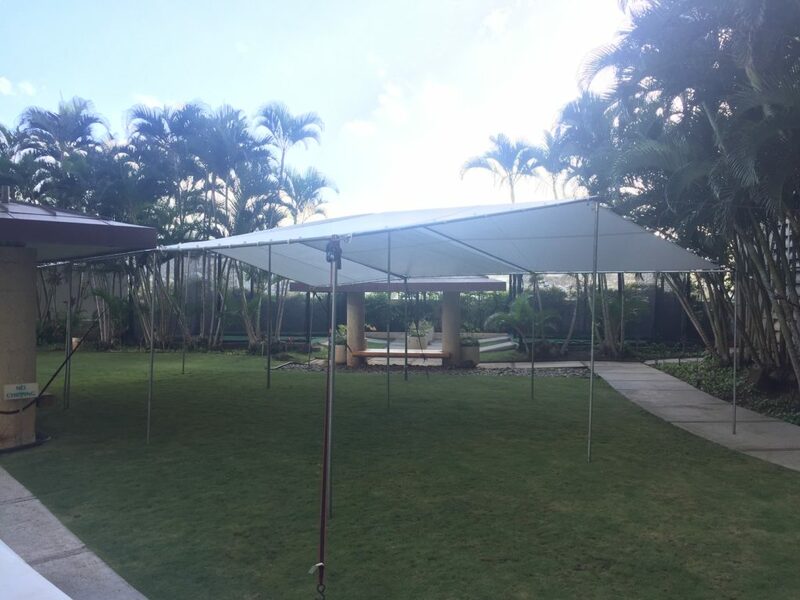 Our white top tents are a perfect medium if you are looking for a more classy look with a very affordable price. Our White Canvas Tent Rentals are priced much lower then any other white tent rentals on Oahu. As you can see from picture here it will blend in at any event formal or casual setting.